Are you taking exogenous ketones and wondering if they’re working for you? If so, the first question to ask yourself is: am I actually testing my ketone levels? And are you doing so regularly? Testing your ketone levels after taking exogenous ketones is imperative in order to know if they are working for you. I (and many other Ketonians) made this mistake for a long time before realizing that it’s the best way to honestly learn if we need to make adjustments. We are in ketosis. Great! We aren’t in ketosis. It’s great to know that! Now we can make adjustments. Urine ketone testing is simple. You pee on the stick, tap off any excess urine, wait just a bit, and read the strip to see if any levels of ketones have been detected in your urine. So, what’s the problem? Pee tests are unreliable because they measure the unused ketones in your body that are spilling over into your urine. Sounds simple enough, right? Well, the problem here is that your body becomes more adapted to ketosis the longer you’re on keto and will be using the ketones. So, they might not show up as much on a urine test — even if you’re deeply into ketosis. For example, there have been plenty of times my blood levels have shown ketosis but there’s been nothing on my pee strip. Moral of the story: urine testing can be a good option at the beginning of your journey into ketosis — but not so much the longer you stay keto. You can test ketones on your breathe by using a Ketonix meter. You blow into and it shows a reading based on the detected level of acetone, which is the ketone that shows up on your breath. Breathe testing is more reliable than pee testing, but still not really the best for clearly knowing your level of ketosis. That’s because, as mentioned above, the ketones that show up on your breath are acetone, and what we care about most is beta-hydroxybutyrate, or BHB (which is measured in the blood — see below). Pretend you wanted to know how many hospitals (BHB) are located in a specific geographic state. You happen to know that the number of hospitals per state increases with the number jails (acetone) per state. So instead of looking at the number of hospitals (BHB) directly, you look at the number of jails (acetone) and then make a reasonable assumption about the number of hospitals based on that number. 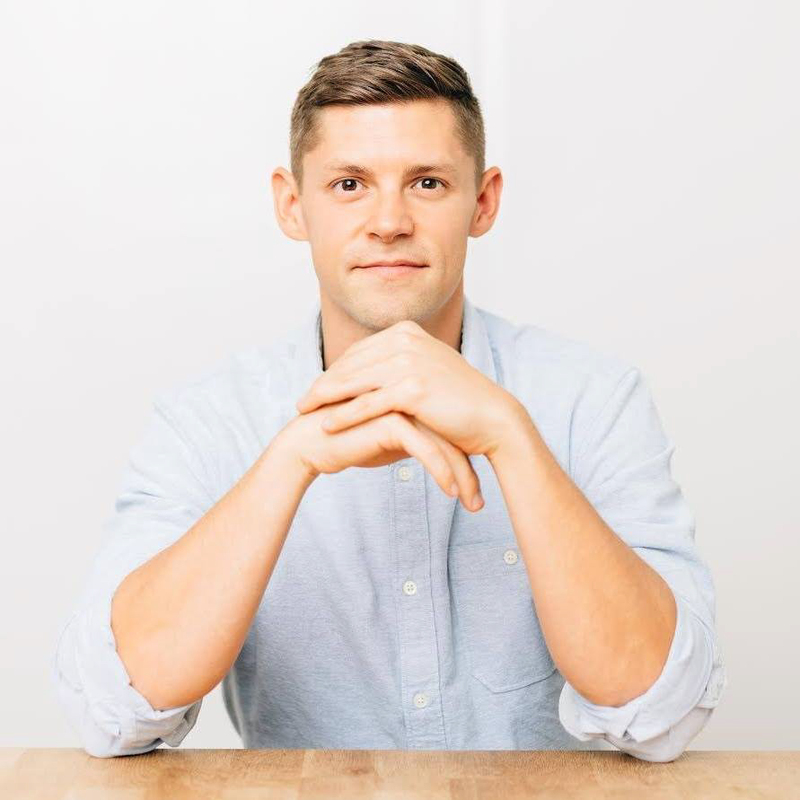 The method for blood testing is simple and the most accurate way to best your levels of BHB — which is the primary ketone your body can make and ultimately convert to energy. BHB is also what provides the “clean” energy ketones in our Perfect Keto products. Blood testing involves a small prick of the finger with a blood meter, which measures BHB levels in the blood. Testing your ketone levels through blood is more accurate because there aren’t factors that can dilute the results, such as, for example, how drinking water could dilute urine results. Another reason to track your ketone levels diligently after taking exogenous ketones is because different things can affect how you react on a ketogenic diet. The type of foods you eat, and the amount you eat, and even amount of exercise can change your ketone levels — and you want to get a good sense of how you react to these things day-to-day, especially when you’re still getting used to your keto diet. This can help you gauge the level of exogenous ketones that is right for you, and when it’s best to take them for optimal results. 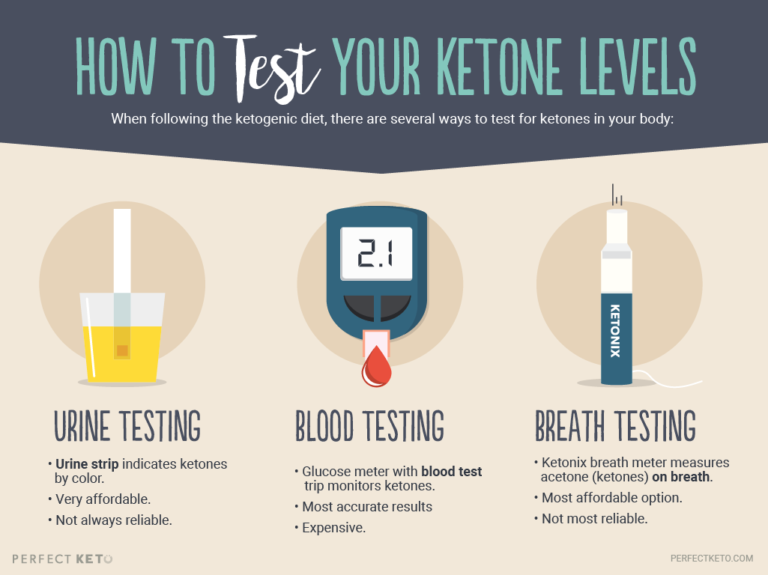 Let’s make this clear right now: you MUST regularly test if you want to get the most out of taking exogenous ketones and truly raise your ketone levels. Every single method mentioned here can be done in the privacy of your own home, so there’s no need to go to a clinic or any place with fancy pants equipment to get them done. Taking ketones and then not testing your levels is literally a shot in the dark, and it’s a waste. Just know that exogenous ketones can help you get there faster. AND to get the most out of them, you gotta test, test, test. Plus, the amount of ketones that are right for you depends on your specific goals — and the only way to make sure you’re hitting that amount consistently and seeing real and accurate results over time is by testing regularly. So, if you’re worried your ketone levels aren’t raised after taking exogenous ketones, be sure you’re using a reliable method for testing as well as testing often. Don’t just rely on a feeling or the assumption you’re in ketosis because you’re following a ketogenic diet or simply taking ketone supplements. It’s not just about following the diet and using the products, but also about being smart with your testing and monitoring. Stay in-the-know with the right facts and testing methods, and you’ll get the results you desire. It’s not a magic fat loss powder. But yes it helps get into ketosis, helps give you more energy, helps decrease appetite — all of these things help with weight loss. Just wondering about breath measurements. Does taking PerfectKeto not impact the readings on that at all then? Or it should? Thanks. Yeah it will increase them! Thanks 🙂 Just ordered a breath analyzer so wanted to make sure! Can I presume that the BHB in Perfect KETO is an equal amount of the “d” and “l” isomer? If so, are you investigating the production of a d only isomer product? THX! P.S. I LOVE your product and find it particularly beneficial before my morning workouts. And your website has been super helpful in elucidating why I want to use YOUR product. Again, thanks! When I take exogenous ketones, I see the level go up to a moderate or high level, but later in the day it goes back to small, but still ketosis. Is this okay? Hi Annette, yes this is normal! Does your product come in non-caffeinated. I see that you sell your product on amazon prime. Is it the same product? Is there a blood ketone monitor that you recommend? Hey Erica, the newest/most affordable one on the market is the Keto Mojo! How long will my blood bob level remain elevated after taking 1 scoop of the vanilla powder? I took 1 scoop before hiking at 2pm, been in nutritional ketosis for only two weeks now, and had a small carb up meal this evening (home made green curry with butternut squash and bittersweet chocolate after). I tested my level at 8:40pm a couple hours after eating and was surprised to get bhb 2.4 and BG 67. I’ve been running between 0.8 to 1.8. Do you think it could still be the exogenous ketones in my blood? Or maybe this is a sign that I am getting fat adapted? I guess if I’m low I will take more in the morning to help with the transition back into keto. I LOVE your products. It is so nice having the keto base as a tool during this first few weeks. I will continue to use the pre workout once I am fat adapted and need a boost. And will always use the MCT powder blended in my coffee with a plug in high power milk frothier. Thank you for everything you guys do! Why is it that my ketone levels drop way down after a work out – I take perfect keto salt “chocolate” before & during my work out I use blood to test & prior to work keton levels are say 3.00mmoL then after my work out wil drop to 0.5mmoL is that normal or I am I missing something?? Hey Mark — you’re using the ketones for energy during your workout!!! This is a good thing! I have a Breath Ketone machine but I have asthma so I have an aversion to breathing all the way out. I received a Ketone Meter for Christmas. I have been having a perfect Keto drink for breakfast with my Bulletproof Coffee. Then I have Lunch. Two Free Range Organic Fed Chicken Eggs and 3 pieces (1 serving) of Bacon and a very small Avocado. After a desk job I go to exercise and then immediately go home and check my Ketos. My numbers are all over the place. Then eat 2oz meat and a big green leafy salad with 1 oz of cheese. Every day to track. What am I doing wrong? I am DM I and take Novolog 6 units and AMYLIN – 45 units with food and Levemir 16 units at night. I have plateaued at 180. What else can I do to lose an additional 35 to 40 lbs. Labs are great by the way. I’ve been taking extogenous ketones with a keto diet for over a month, and have not felt or seen any effect. Today I blood tested 2.5 hrs after drinking them & my levels were too low to even register! 2 days ago I tested 40 minutes after drinking them, .4. I drink them fastest; what could be causing me to not get fat adapted or into ketosis!? My macros are excellent, calories around 1200 a day (female, 5’6”, 168 lbs after gaining almost 5 pounds when I switched to a keto diet). Help! Careful with bacon. It is very difficult to find bacon that has not been cured with some sweetener like cane sugar, maple or honey. Try half of the avocado and eliminate the cheese* (* for now. Watch Joe Rogan with Dom D’agostino where he says that fat loss was better when taking out the dairy. As for the meter. If you can breath all the way out (I know it’s trying sometimes) great. Otherwise, try to breathe the same way everytime using it meter. I have a Ketonix and it regularly shows 4 green flashes during the first week of induction. Take a closer look at the food you are eating. Something in there has a sugar or starch that is causing you to not get into ketosis. Take a closer look at the ingredients in all the things that you are eating. For me: I can be in very deep ketosis and lick a candy and be out of ketosis in 20 minutes! Make sure you are following a well formulated ketogenic diet like Atkins induction phase. NO MORE than 20 carbohydrates per day and no sugars, fruits, starches, potatoes, breads pastas. What you drink must also be considered. Wine, alcohol, juices, etc all contain enough sugars and starches to prevent ketosis. What does your typical day look like, meal, drink wise? This is all very useful information. I know a lot of people who think they are on a keto diet however they are eating things that have carbohydrates and they don’t even realize it. Sugar = Carbs!! I just received your test strips and used one. I’ve looked everywhere and can’t find what the levels SHOULD be, or rather what the optimum level is that we should be striving for. My strip said I’m at moderate level. Should I be striving for higher or lower?